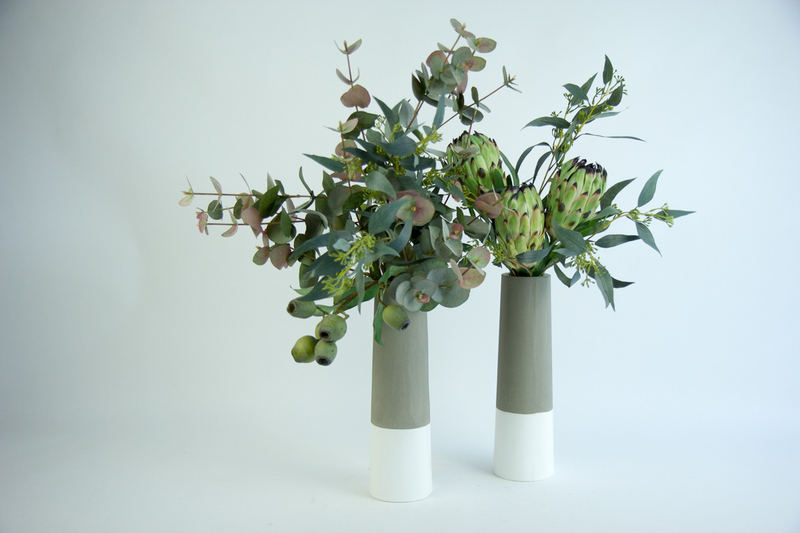 The Cally Pair is a new spin on our traditional native arrangements. The contemporary style vases, white dipped design, have a sophisticated modern look. 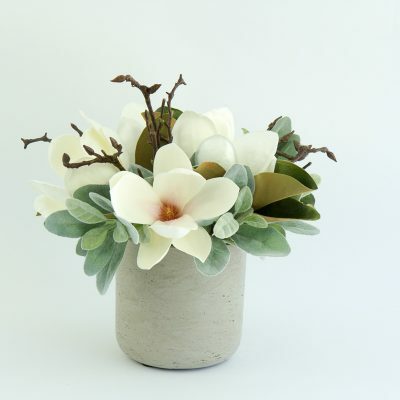 They can be displayed as a pair or separately on a console or corner side table. 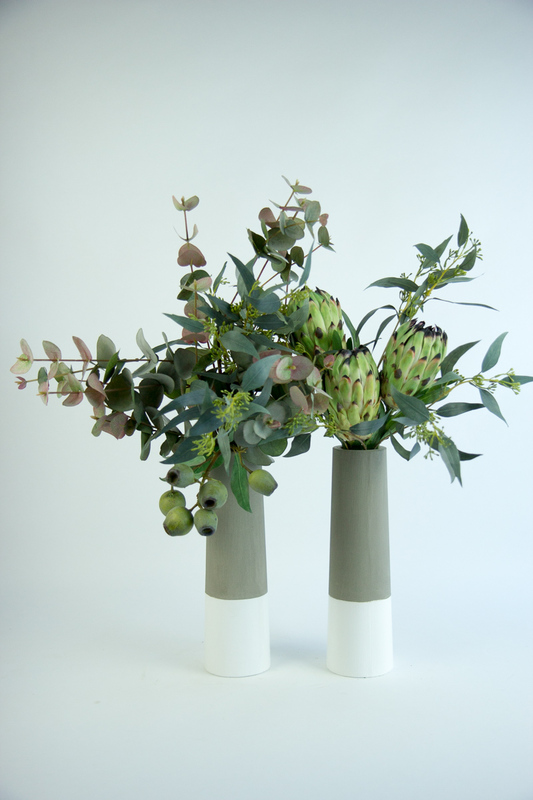 The one vase contains red/grey eucalyptus mixed with eucalyptus leaf and seed and large gumnuts, while the other vase is filled with Queen green proteas and eucalyptus leaf and seed. Front facing arrangements. 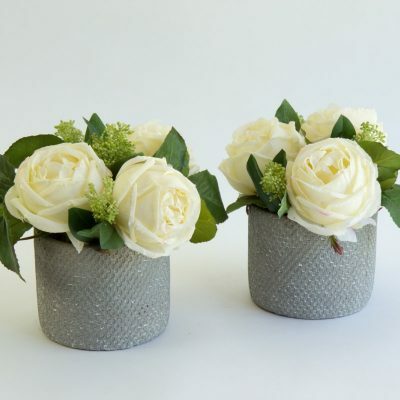 Each Cally vase measures approx. 30cm high and has a base diam. of 9cm. Overall height of arrangements approx. 65cm. She is prepared to order, beautifully presented with handwritten stationery and of course our signature Secret Blooms seal of authenticity. 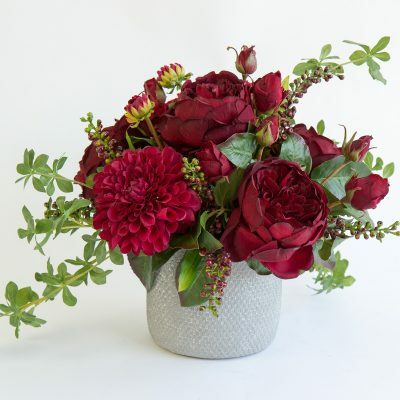 Whilst every effort is made to illustrate the product’s true likeness in our photos, there is likely to be some minor variation in the appearance and / or size of your product as a result of our arrangements being prepared to order.